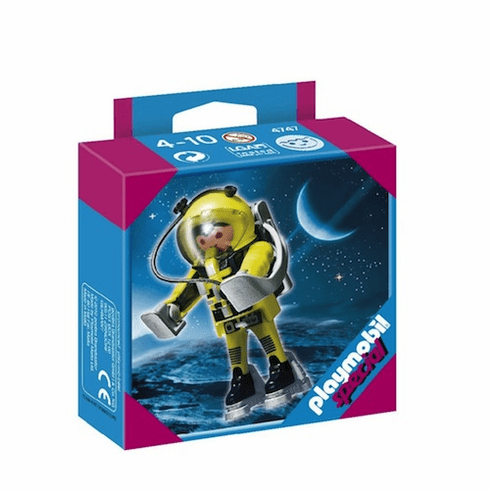 Prepare for space exploration with this Yellow Astronaut and his jet pack. Play with this set alone or combine it with other PLAYMOBIL sets. Recommended for ages four to ten. Warning. Choking Hazard. Small parts. Not for children under 3 years.